United Way funds more than 40 local organizations that have a direct impact on the quality of life for their clients. United Way doesn’t stop there – we go beyond temporary fixes to help create lasting change and efficiency in the organizations we serve. Although we provide funding for these agencies in our community, we measure our success not in dollars raised but in actual lives changed. 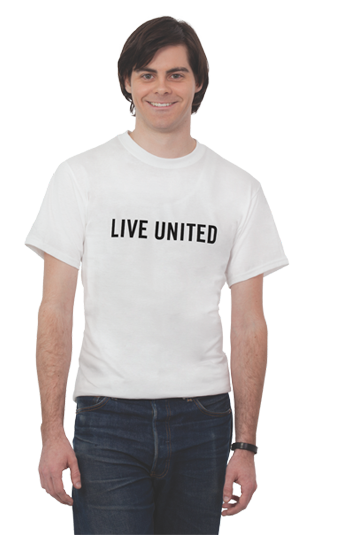 United Way provides support and services to any program working to advance the common good. However, through a community needs assessment we have identified three key areas for funding that will have the greatest impact on improving the needs of our community. Our Data Driven Funding process identified the following areas of need: Youth Development, Self-Sufficiency, and Health & Senior Services. Aid to Distressed Families of Appalachian Counties (ADFAC) An independent nonprofit agency serving Anderson County residents, including helping families in urgent need with basic survival necessities and helping to preserve/improve existing housing. Allies for Substance Abuse Prevention of Anderson County (ASAP) An independent nonprofit agency serving Anderson County residents that seeks to implement environmental strategies to prevent and reduce underage alcohol use and other substance abuse. American Red Cross Appalachian Chapter Provides disaster education and relief; first aid, CPR and water safety training; preventing disease transmission international tracing; and emergency communications for military families. Anderson County Community Action Commission – Green Thumb Garden Program Provides seeds, fertilizer, and plants to approximately 500 low-income residents of Anderson County, in the spring of each year. The ARC of Anderson County, Inc. Serves the needs of those of all ages with developmental and cognitive disabilities by providing parent support, education, and adult recreational activities. Big Brothers Big Sisters of East Tennessee. An organization that cautiously matches children from single-parent families with carefully screened adults for one-to-one goal oriented friendships. Boy Scouts of America – Great Smoky Mountain Council, Inc. Serves the community by instilling values in young people and by preparing them to make ethical choices over their lifetime. Boys & Girls Club of North Anderson County After-school and summer club that offers over 35 programs to area youth and helps members achieve academic success, develop healthy habits, and build good character and citizenship. Boys & Girls Club of the Clinch Valley Gives more than 1,200 young people, aged 7-17, professional leadership, counseling, facilities, and equipment for diversified programs of daily activities. CASA of the Tennessee Heartland Provides trained volunteers to serve as advocates for children who need juvenile court protection as a result of allegations of abuse and/or neglect. Child Advocacy Center of Anderson County (CAC) A non-profit organization that provides counseling, medical assistance, and support to abused children and their families with the goal of reducing and preventing future abuse. Children’s Museum of Oak Ridge A non-profit organization offering educational and cultural learning experiences to young people, their families and teachers; emphasizing programs to help at risk youth. Clinch River Home Health Provides in home nursing, aide services and rehabilitation therapies to the sick, disabled, and elderly. Private fees are based on income. Community Mediation Services (TPM & VORP) Offers victims and nonviolent offenders the opportunity to meet, with guidance by a volunteer mediator, to discuss the crime’s impact and make decisions regarding restitution. Contact Helpline, Inc. – Serving 865 Provides telephone listening/counseling, information/referral, and suicide prevention services.Volunteers are available 8 am till 11pm, all calls are anonymous and confidential. Also provides a reassurance program to contact elderly and homebound or disabled clients daily to check on their well-being. East Tennessee Kidney Foundation A non-profit providing patient services and support to East Tennessee residents affected by kidney disease. Ecumenical Storehouse, Inc. An all-volunteer, non-profit agency that provides household goods and furnishings free of charge to needy families in the surrounding area. Emory Valley Center Provides case management, training, housing, jobs and job placement for adults with severe disabilities, and preschool services for disabled children. Emory Valley Dental Clinic Extraction and restorative dental clinics held monthly for Anderson County residents without dental insurance. ETHRA provides services throughout the region that help families and individuals remain independent and with opportunities to succeed. The Florence Crittenton Agency, Inc. Devoted to providing a full range of services that seek to offer care, support, and hope to at-risk adolescents and promote family stability to include residential and outpatient emotional/behavioral and substance abuse treatment programs, education and outreach for pregnant and parenting teens, school-based counseling and prevention services, and therapeutic foster care. Girl Scout Council of the Southern Appalachians, Inc. Girl Scout Council of the Southern Appalachians, Inc. serves approximately 8,500 girls and adult volunteers in 46 counties in Virginia, Tennessee and Georgia with service centers in Knoxville, Johnson City and Chattanooga. Through its leadership development program, Girl Scouting builds girls of courage, confidence and character, who make the world a better place. Girls Incorporated of Oak Ridge Helps girls to become self-sufficient, responsible citizens, and serves as a vigorous advocate for girls, focusing on special needs and support of each other. Helen Ross McNabb Center Free, confidential crisis intervention, counseling, advocacy and support for child and adult victims of sexual assault, sexual abuse and family violence; education and prevention programs. Keystone Adult Day Program A day care program for senior adults with functional impairments which allows participants to remain in their homes as long as possible avoiding premature institutionalization. Norwood Boys & Girls Club Provides equipment, uniforms, and facilities for 600 youths ages 5-18 in basketball, baseball, softball, football and cheerleading. Includes after school programs with organized activities. Prevent Child Abuse Tennessee (PCAT) Community-based nonprofit that provides support services and educational programs to families in Tennessee, aimed at strengthening families and preventing child abuse and neglect before it starts. Ridgeview Psychiatric Hospital & Center, Inc. Provides a full-range of services for the mentally disturbed including treatment in and out of the hospital and operates a satellite center in Anderson County. Second Harvest Food Bank of East Tennessee An organization dedicated to alleviating hunger by distributing food to other non-profits, enabling those agencies to fund programs that will assist the poor. Senior Citizens Home Assistance Service, Inc. (SCHAS) Senior Citizens Home Assistance Service, Inc. (SCHAS) provides homemaker and personal care services to elderly and disabled persons, so they can remain in their own homes for as long as possible. Spark A regional nonprofit organization that connects people with disabilities to the technology tools and services they need for living, working, and learning with maximum independence and dignity. Services provided include an equipment loan and donation program, information about assistive technology products and funding sources, individual and group training, assistive technology evaluations, and product demonstrations. Trinity Outreach Center of Hope is working to ensure every family in Anderson County has a safe place to sleep. Catholic Charities of East Tennessee Catholic Charities of East Tennessee fosters human dignity in our region through shelter, counseling, education, advocacy, and reverence for life. CCETN provides services to anyone with demonstrated need, regardless of race, income or religion. Food Life Services of Campbell Co. Discretionary Grants are one-time, project-based grants that support unique funding requests that do not necessarily meet the criteria for our normal grant cycle. In 2018 we awarded nearly $80,000 to a variety of projects, including medical equipment, transport vehicle repairs, supplies for students, and much more!